Any song that starts with a guitar melody so eerily reminiscent of Rosanne Cash’s “Blue Moon With Heartache” is going to reel me in right away. Throw in an understated production that recalls early Alan Jackson, and the fact that Corbin is an actual country singer instead of just a country personality, and things get even better. The song is beautiful. Really, really beautiful. Like so many great country ballads, someone who’s been left alone because a relationship failed can relate to it just as well as someone who has been left alone because they’re a widow. On the verses, Corbin sounds so good that he could’ve sent this to radio in 1992 and stood tall among the Mark Chesnutts and Collin Rayes of that time. But there’s a big flaw, and that’s his over-singing in the choruses. Remember how John Michael Montgomery strained his voice when he wanted to show intense emotion? He’s doing that, with less impressive results. It’s not enough to sink the record, of course. There are so many strong elements that even a weak delivery in some parts can’t stop it from being a good record. But it does keep it from being truly great. It was a bit oversung, but overall a solid record. This is my favorite song from his album. I love the lyrics, the production, and the vocal performance. It’s such a shame he’s nominated for the CMA Best New Artist category at the same time the Zac Brown Band is nominated because he should win that award, in my opinion. …good ol’ country song with slightly unnecessary shrieking diva stunts in the chorus, indeed. pity, no one in the studio pointed that out to him at the time. 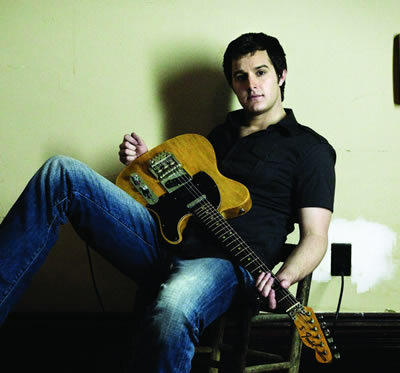 never mind, easton corbin clearly is the newcomer of the year. I was hoping for “This Far From Memphis”, but this will do. I’m just satisfied this gifted vocalist is getting a fair shake, and while he’s capable of better in terms of the quality of the songs he cuts, his debut is quite a fine one.